Earth plaster looks amazing when you get it right. It costs next to nothing to create, and opens up a world of construction, artistic and decorative opportunities. Once you learn a few basics, you can use this knowledge to render houses, restore ancient stone work, make earthen structures like cob ovens and alcoves, sculpt, create earthen mortars, and more. Your imagination is the limit. The trouble is, it's hard to find out the basics. 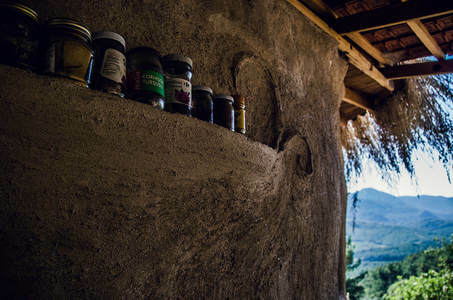 Recipes often don't work because earth plaster is notoriously dependent on local climate, soil make up, and the surface you want to render. This Perfect Earth Plaster Course will teach you step by step how to make plaster anywhere. It empowers you by giving you the tools and understanding to become a true plaster master. What will you learn? This multi-media course will teach you the function and properties of each ingredient in the plaster, and how to decide the proportions of each ingredient. It will take you through the testing process, mixing and application. Each of these stages include details which when missed can cause issues with your plaster. The course will also show how to make your plaster water resistant, how to protect it and maintain it. There are extra educational videos on burnishing, how to make a plaster board, how to use a trowel for beginners, and more. IN ADDITION, FOR A LIMITED TIME I'm offering a bonus video on making mosaic and earth plaster sculptures completely free with this course. 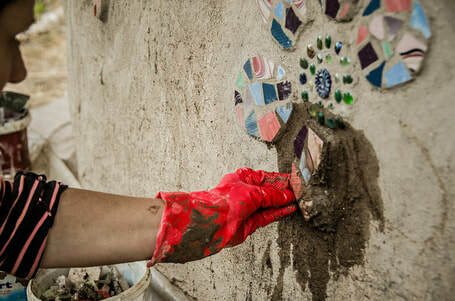 The video is set in my mud home in Turkey and takes you around all my earth plaster creations, plus step by step lessons on sculpting and mosaic.